As our tenant, you have to sign a tenancy agreement. This tenancy is an assured short hold tenancy. This is an important legal document which details your rights and responsibilities as a tenant and rights and responsibilities of your landlord. You should keep it in a safe place. This tenancy agreement is a legally binding contract between you and the landlord. If there is anything you do not understand please ask a member of our staff or seek advice from a Citizens’ Advice Bureau, Housing Aid Centre or Law Centre. We are committed to ensuring that your home and the services we provide are of high quality. We want you to live in a peaceful neighbourhood free from anti-social behaviour. We expect you to look after your home and to treat your neighbours in the way you would like to be treated. You must pay your rent on time. We want you to enjoy living in your home and understand your responsibilities as a tenant. • Pay your gas, electricity, water bills and council tax. • Get home contents insurance to protect your belongings. • You must live in your home from the start of your tenancy. • You must not give your home to anyone else. • Please let us know if your contact details, such as your mobile phone number, change. This is important in case we need to contact you in an emergency – for example, if you have a burst pipe. • Keep your home and garden clean to reduce the risk of pest and vermin infestation – You are responsible for any pests inside your home or garden. • You should try to be a good neighbour and keep good relations. • Tell us if you are going to be away from your home for longer than 21 days. • Keep your home well ventilated to reduce condensation. • Report any tenancy or housing problems to us. • Check safety latches on windows and balconies are safe and secure, and locked (especially if you have young children). • Be considerate to other people when using all outside or communal areas, including inside stairwells and walkways. • Don’t intentionally damage your home. • Don’t store any personal possessions – these may block access in an emergency. to put things right. If you fail to take this opportunity then we will take legal action and you may lose your home. We feel this firm approach is only right to ensure that all our residents can live happily in their homes. 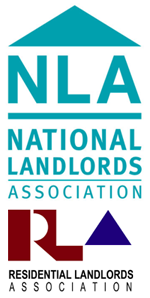 Our landlords are committed to ensuring that your home and the services they provide are of high quality. Landlords want you to live in a peaceful neighbourhood free from anti-social behaviour. • Make sure the structure and exterior of your home are kept repaired. • Make sure all fixtures and fittings for water, gas, electricity, space and water heating are kept repaired and in working order. • Periodically decorate the outside of your home and any shared areas. • Carry out repairs for which the landlords are responsible for, such as repairing or replacing fixtures and fittings owned. • Carry out periodic tests as per statutory regulations for all electrical installations. • Our landlords comply with the 1998 Data Protection Act as amended from time to time. Our landlords can disclose personal information they hold about you to third parties if it is reasonable for us to do so in the course of their business. Examples of third parties we may need to make disclosure to are other landlords, the police or other public agencies. If you feel our landlords have not kept to the terms of this agreement you can use our Complaints Procedure to tell us. If you are still unhappy with the response you can take advice from a Citizen’s Advice Bureau, law centre or solicitor. As a final step you can contact the Independent Housing Ombudsman Service.